Julius Randle didn’t fall for the trap that Kevin Garnett has been setting for 21 years now.  During the season-opener Wednesday night between the Los Angeles Lakers and Minnesota Timberwolves, Kevin Garnett tried to intimidate Randle by getting all up in his face. It’s a legendary tactic from Garnett, but one Randle paid no attention too. Randle finished with 15 points and 11 boards in the T-Wolves’ 112-111 win. Julius Randle welcomed the trash-talking: "It gets me going." "I've been watching him (Kevin Garnett) all my life so I knew what to expect." 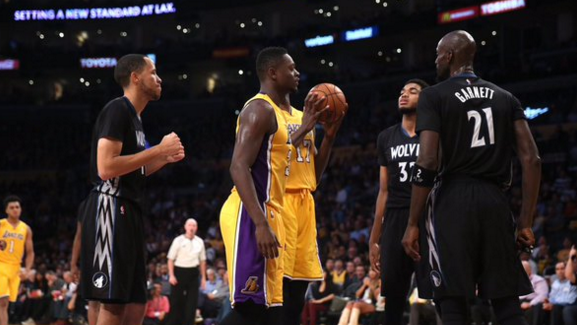 Julius Randle on Kevin Garnett's trash-talking: "It doesn’t scare me. I’m not scared of anybody."